Whether you are a recent or lifelong follower of Traditional Chinese Medicine (TCM), your perspective on nutrition is unique to that of the Western perspective. Instead of eating for indulgence and pleasure, TCM considers food to be as good as medicine. When balance is achieved in one’s diet, balance can be achieved within the body, mind, and soul. In addition to this notion, TCM also does not make universal dietary recommendations for all people. Instead, the foods that are good for one person may not be beneficial for another. Since these principles vary so significantly from what is considered to be healthy in Western diets, dining out can quickly become a challenge. The majority of foods and beverages offered in restaurants are often heavily processed, full of sodium, sugar, and other toxins. Because of this, is it impossible for someone following TCM to dine out? Thankfully, the answer is ‘no.’ With a bit of planning and research, you can continue to follow your lifestyle while enjoying local restaurants and events. Here are three tips to help you meet your nutritional needs when dining out. These days, nearly all restaurants make their menus available online. This makes it much easier to know which restaurants will have foods that are appropriate for you, and which ones you should avoid. Before deciding where to eat, research which local options have the most choices for your needs. It is also extremely helpful to follow this tip while traveling. If you have questions about a menu you have viewed online, or are wondering if certain dietary accommodations can be made, be sure to call the restaurant prior to your arrival. If you have an extensive list of foods/beverages to limit and include within your diet, it can be difficult to remember what is ok to eat and what isn’t. When going to a restaurant (or even to the grocery store), bring a “cheat sheet” that lists all of your essential nutritional items. Rather than the unreasonable alternative of bringing a TCM book with you, or even the inconvenience of looking up information on your phone, a concise list is all that you need. Carrying a TCM “cheat sheet” will help you stay focused and on-track with your nutritional needs. Planning or attending a big event (such as a wedding or a corporate retreat)? If so, you might be concerned about how your TCM dietary needs can be accommodated. Thankfully, there are ways to ensure that the catering company will have items that you can eat. First, if you are the one planning the event, find a local health focused caterer who is open to bringing at least one item that adheres to your needs. Be sure to also find out if there will be other individuals in attendance who have specific dietary requests as well. If you are simply attending an upcoming event, inquire about the foods that will be provided. In the event there is no food that will meet your needs, you will at least have advanced notice. Plan on eating prior to or after the event to avoid the temptation of indulging in foods that are heavily processed. 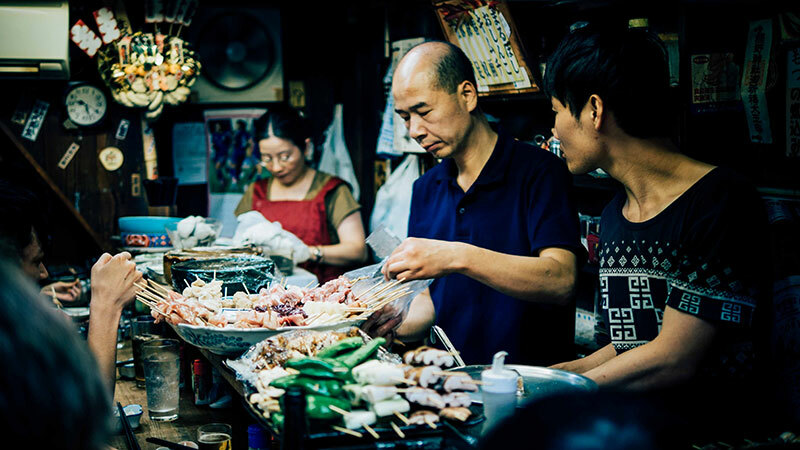 Although it may seem like a challenge, dining out while following TCM can be achieved. Rather than skipping fun dinners and events, research and plan in advance so that you can enjoy special moments with family and friends while maintaining balance in the body.